The nightmare with our pores begins the moment we hit puberty and then, carries on to plague us for the rest of our lives in various ways. They are annoying, we hate them and we want them gone. Unfortunately for us, just like bad memories, pores are here to stay. There is really no magic which we can use to annihilate them, but we can try and keep them clean as much as possible, so that the nightmare they bring comes in bite-sized proportions. 20s Sebum Pores Active sebum secretion. When in excess, sebum may clog pores and result in the formation of pimples and dry skin. 30s Mixed Pores Active sebum secretion and pores begin to sag. 40s Sagging Pores Skin's foundation weakens and women see a change in firmness and elasticity of skin. Coupled with gravity's downward pulling force, round pores form a teardrop shape over time. Warming up of skin to soften it. Upon application of the gel, you skin gradually warms up. The effect is very much like placing a warm towel across your face. Your skin softens and the optimum environment for deep pore cleansing is created. Deep pore cleansing with Scrub x Charcoal. The fine beads act like a scrub, cleansing clogged pores and removing dead skin cells. The Charcoal powder, which is sebum-adhesive, absorbs excess sebum and minuscule-sized grime. After a while, the skin starts to cool down and this is when the gel is in its final stage. Witch Hazel contains astringent properties which refresh and tighten pores, minimizing their appearance. 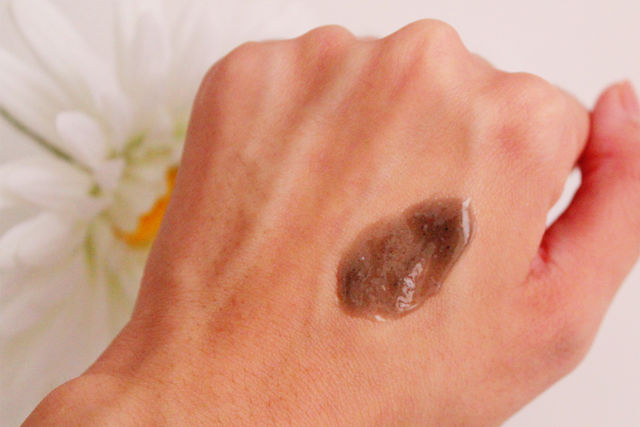 Absorbent x Permeating moisturizing ingredients keep skin hydrated and smooth. After cleansing, the skin becomes very permeable. Permeative Collagen pushes and plumps skin from within and prevents pores from sagging. Absorbent Hyaluronic Acid moisturizes and rests on the skin's surface to create a rich and full texture. The gel is free from oils, fragrances and artificial colours, and is formulated to minimize the risk of allergies. After washing it off, my skin feels soft and smooth and looks clear and radiant. I don't experience any tightness. There are some days when I'm lazy and skip the moisturizer, but my cheeks don't get dry like they usually do. My blackheads are still very much present though (There is neither an increment nor a reduction. ), so I think I need to give this a little more time and probably, sleep a little bit more. Heh. 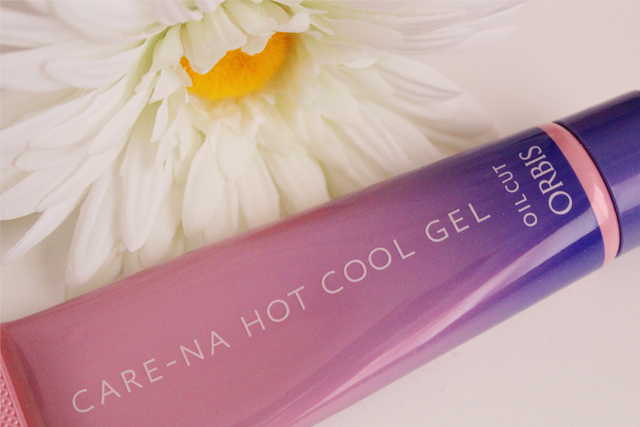 ORBIS' Oil Cut Care-Na Hot Cool Gel is available at all ORBIS counters and stores, at $21.50 for 60g.